Happy Hour is served from 4pm to 7pm Monday thru Friday, please drink responsibly. Agave Coffee & Café was established in 2013. Open daily for Breakfast, Lunch, Happy Hour, and Catering Monday thru Friday. Agave is now open on Saturday & Sunday serving breakfast all day. Join us for $10 Bottomless Mimosas (served all week) and Happy Hour 4pm to 7pm. Join us every week for TACO TUESDAY! We offer free parking in the Gateway Building located in the rear in the parking garage. To find out more about upcoming events follow us on Instagram and Facebook or visit our Coffee Talk Blog. We strive to bring you organic food and healthy food items while having a strong relationship with the environment. We are not fast food so please be patient with our staff. We also support the earth by using the finest recycled planet friendly products. Agave Coffee & Café provides Chula Vista with the freshest Organic Locally Roasted Espresso Coffee Beans and Loose Leaf Organic Teas on the market. Whether you are on-the-go, taking a lunch break we encourage you to sit back and relax on the patio or in the Agave Lounge. We offer over 22 beverage varieties and over 35 fresh made-to-order food options. 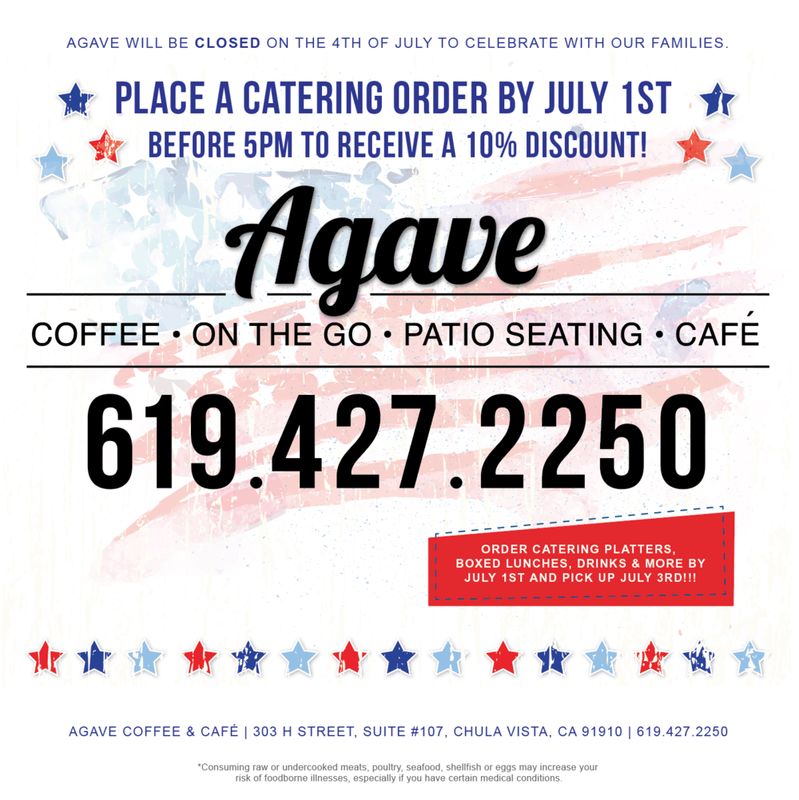 For faster service Agave offers "PHONE ORDERING" by calling (619) 427-2250, we are ready and standing by! Gift Cards are available starting at $10 and when you purchase a card for $20 or higher you will receive a *FREE Regular Organic Locally Roasted Coffee or signature Organic Tea. Agave is very excited about the 4th of July! Having a party and want to impress your family and friends? Contact us by July 1st for delivery or pick-up on July 3rd, great value, great taste, and an amazing addition to any 4th of July gathering you might be having at the beach, at your home or by the pool, bay or at the park!!! Meet "Katya" our new Catering Specialist and request a catering quote today! All orders must be place no later than July 1st, 2018 by 5pm. 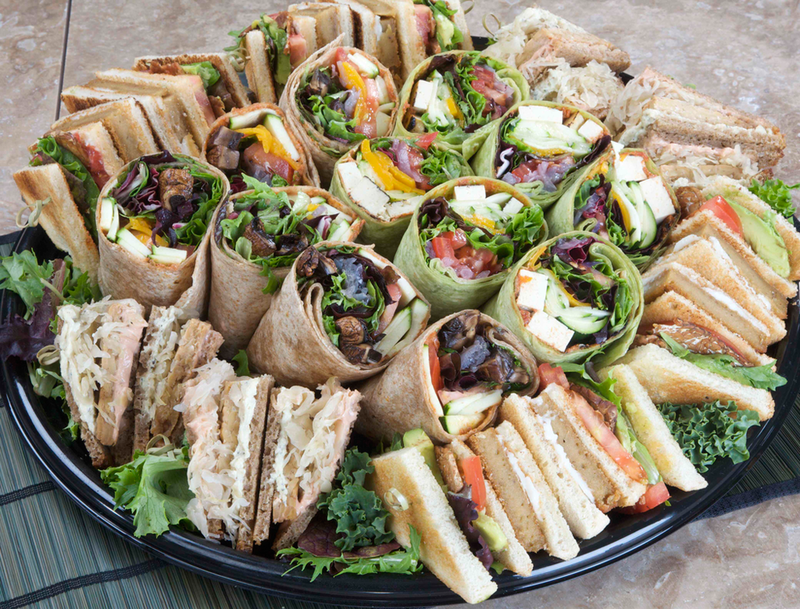 Happy Holiday and Thank you for requesting a catering quote! Katya will be contacting you shortly. Have a great day!